Review: Rodents of Unusual Size / It's Just Movies Review: "Rodents of Unusual Size"
It is a thirty-pound rat with gigantic orange buck teeth and it is coming right at you. Could mean trouble, a monstrous attack on you, your house and your loved ones. Or it could mean five dollars. It all depends on your point of view. For hundreds of Louisiana bayou people, it means the latter. They not only go out of their way to run into what may be the ugliest animals on earth, they shoot them, collect them in a boat and then cut off their tails. No, this is not a satanic rat-tail cult from New Orleans out for pyres and sacrifices. These are hard working people who have accomplished what few in the world can claim. They have controlled an explosively fertile invasive species that has caused major damage to the state, its wetlands, its physical infrastructure and, lest we forget, its golf courses. And that is only the beginning. 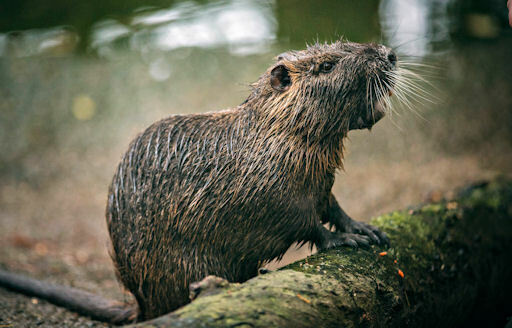 The villain rodent is the semi-aquatic nutria. Brought here for its lovely fur (no joke, it is heavenly when tanned), the pelts get no respect thanks to animal lovers and the titanically politically correct anti-fur movement. Brought from Argentina and promoted and raised in the mid-1900s by none other than Tabasco Sauce magnate E.A. McIlhenny, myocastor coypus, or mouse beaver, flourished. They escaped from confinement (what a surprise) and each female, letting the good times roll, commenced to have three litters of five a year. Doing the math, this soon equaled a rodent mass about the size of Jupiter. Each day, they eat 25 percent of their weight in Louisiana. Scouring and killing grass and greenery in tidal wetlands, they pave the way for storm surges to wreak havoc miles inland. They burrow into banks, causing major chunks of land to suddenly disappear and even erode bridge foundations. Enter the bounty program, an amazingly successful self-help project that has renewed interest not only in hunting the critters but clothing ourselves in them and having them for dinner as well. As one might imagine, the people behind this are not exactly the kind you meet at the bus stop on the way to work. A cross section of the old south, including a fair share of those irrepressible Cajun folk, they remain the last of the old guard. 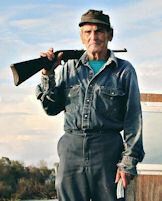 They drink, smoke, eat, dance, shoot, hoot and do things other Americans only dream, or have nightmares, about. For better or for worse, they are trapped in paradise. Film-makers Quinn Costello, Chris Metzler and Jeff Springer use this eye-opening natural phenomenon to explore the fertile and yeasty personalities of the bayou. This is a place where an online posting is a no trespassing sign on a power pole and a tweet is something you shoot at. Backed with melodic descriptions by narrator Wendell Pierce and dancing music by The Lost Bayou Ramblers and Louis Michot, the viewer is introduced to a beautifully irrepressible and irreplaceable American demographic; a population that truly, sincerely and effortlessly does not give a whit what the outside world thinks. They are reducing a potentially lethal nutria population from 25 million to 3 million, and somehow having fun doing it.